Hey! Back with the latest episode of LBFMusic. I'd like to thank everyone that has given these musicians a listen and followed these episodes. Special thanks to all the friends and staff that has helped make this possible (and an extra special thanks to Hanfi1311 for recording hours and hours of music for us). 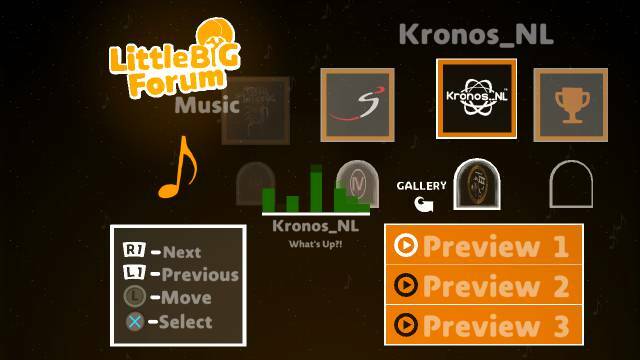 I've had a great time featuring some of the best LittleBigPlanet has to offer and it makes me smile thinking of how many musicians gained some extra deserved attention from it. 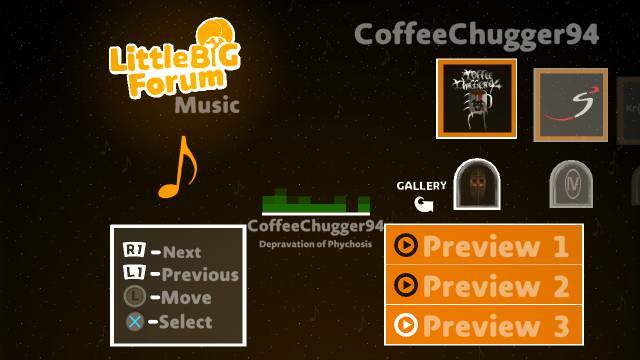 I will no longer be Musicurator for LittleBigForum, but I hope someone else will take over and continue this awesome showcase. So peace out everyone. you've been awesome. Thank you all. And as always, sorry, Hanfi1311. Here's some musicians to record that you just now heard about (lol). You've been awesome. Queued. Shame that. Who will take over for you?